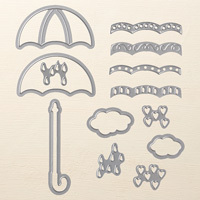 WISHING YOU BRIGHTER DAYS AND VIDEO TUTORIAL!! Here is a get well card that is sure to cheer someone up!! 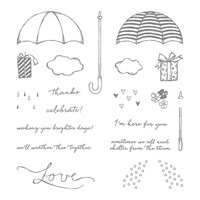 The Weather Together stamp set is fantastic and has coordinating framelit dies. Which means NO FUSSING CUTTING!! Bundle them together and save 10%. Every online order with me receives a FREE TUTORIAL emailed directly to you!! Super cute!! Thanks so much for the great video!! Thank you AJ. Glad you like it!! Thank you so much Vickie!! Great Eileen, I would love to see a pic.